…or any of the sequels for that matter. Now granted, I love all things Terminator but people are already well aware of that series. Although, the thought of a Terminator reboot doesn’t sit well with me. I’ll wait and see who is the driving force behind it. Who knows? It may be good but I’m not holding my breath. Anyway, here is the hint for this week. Any idea what it could be? I have no clue on this one but im gonna guess Lady Terminator. Not sure if you’ve done this one yet or not though. Nope but I’ve been thinking about doing Lady Terminator. Probably not for a while though. The only film that deserves a reboot is Highlander as the 1st film had a great concept but the structure of the story and action were pretty lousy although I am still interested in how the Robocop reboot will turn out that I think might actually be pretty good. What is the point in making a Terminator reboot that is an even worse idea than Total Recall. The original is to well known and there is nothing you can change that will top or add anything that was not in the Cameron original. 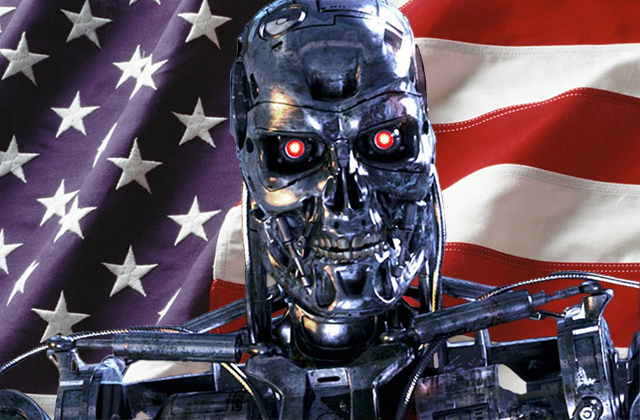 What did you think of the sequels Terminator 3 and Salvation? With everything that I’ve seen for the Robocop reboot, I have a feeling it will just be awful. Considering I think the original is one of the few “perfect” films, I can’t see what they are thinking aside from an easy buck. They will most likely butcher the Terminator. There is no need to do a reboot, they could just pick up where Salvation left off. Such a waste. Or, they could adapt some of the Dark Horse comics which would be awesome. They take place in the same universe but have a different set of characters. I enjoyed Terminator 3 and Salvation. I thought 3 had a great setup to the war and Salvation finally gave us the battle with Skynet people had been wanting to see. Plus, some great callbacks to the original and a very unexpected cameo. The Terminator is not a Good Bad Flick, it’s Good Good Movie. If anything, I might just do a video on 3 and Salvation. Everyone already knows Terminator and T2 are great. However if I do, it won’t be for quite some time! Too many “bad” movies to cover! Who needs to be told The Terminator is a good movie? Everyone knows that. It’s a classic.